Playing Cards Personalised Celebrates the start of The World Series of Poker on the 29 May! With the most prestigious world poker tournament starting last week, it’s always an exciting time for us at Playing Cards Personalised, as the Poker world focuses it’s attention on the event that first ran in 1970. The inaugural event took place at ‘Binion’s Horseshoe’, with only 7 entrants (hardly a ‘world’ event!) 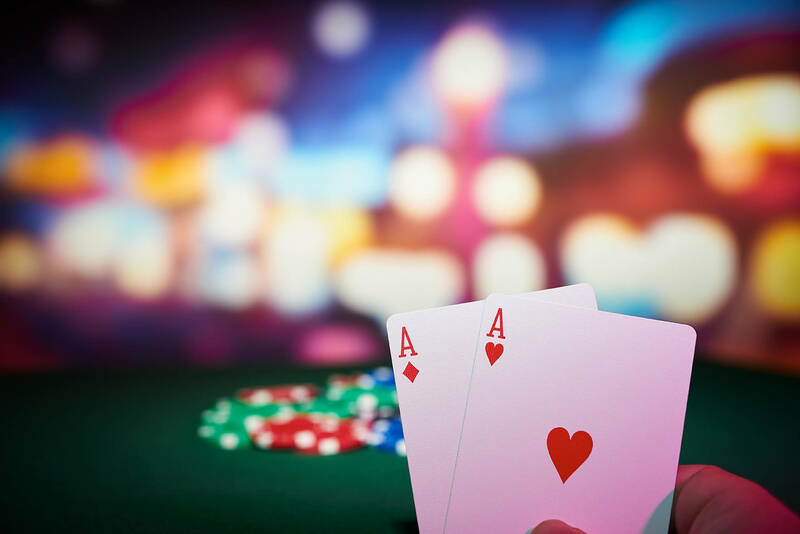 but since then it has gathered momentum and exposure, attracting a peak of 8,773 poker players from around the globe in 2006, but still bringing in north of 6,000 card players every year since then. With this years tournament schedule including 78 different events and the main event which costs $10,000 to enter likely to have a winning prize of over $7 million, we thought it only fair to offer keen poker players a chance to save a few pounds this side of the pond! To celebrate the WSOP in Las Vegas, if you place an order for poker size personalised playing cards greater than 50 packs during the month of June, you will receive a discount of 10% if you quote the code ‘WSOP18’ when placing your order.